We carry a wide selection of acrylic packing tapes for carton sealing and a variety of packaging applications and budgets. Acrylic packaging tape is crystal clear, will not interfere with exterior markings and labels, and instantly bonds to corrugated boxes and surfaces. Acrylics have a wider temperature range than hot melts (32 degrees F to 150 degrees F) versus Hot melt (40 degrees F to 120 degrees F) and performs better in in high humidity conditions. They are best suited for applications in tough environments such as refrigerated food packing facilities. 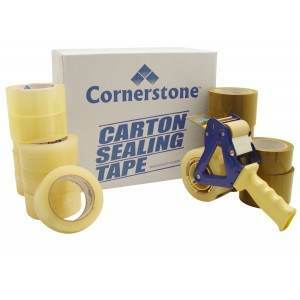 Commonly referred to as "Box Tape" or "Carton Sealing Tape," it is one of the most popular, economical, and durable tapes for your packaging needs. 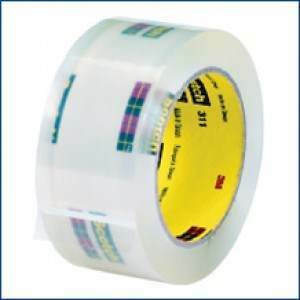 We stock both machine grade tapes for automatic tape dispensers, as well as hand grade acrylic tapes that are compatible with standard handheld dispensers. Ages well over extended periods in sunlight and fluorescent lighting. 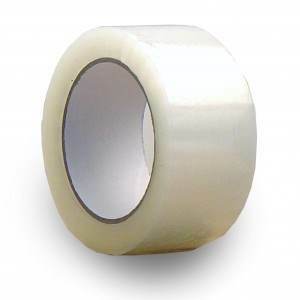 Acrylic packaging tape is ideal for long-term storage because it resists yellowing because of oxidation. Acrylic packaging tapes, on the other hand, offer a wider temperature range than that of the hot melt tapes, ranging from 32*F to 140*F. An acrylic tape is ideal for applications that involve low and/or high humidity conditions, as well as long term storage. 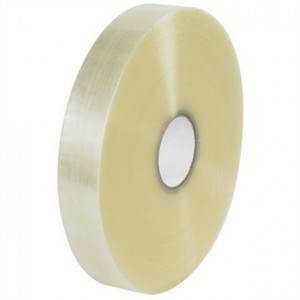 Acrylic tapes also have a stronger resistance to oxidation, allowing it to to be uninfluenced by exposure to sunlight, meaning it won't yellow like hot melt packaging tape does.